So today is hub’s birthday and he is having a lunch for friends. 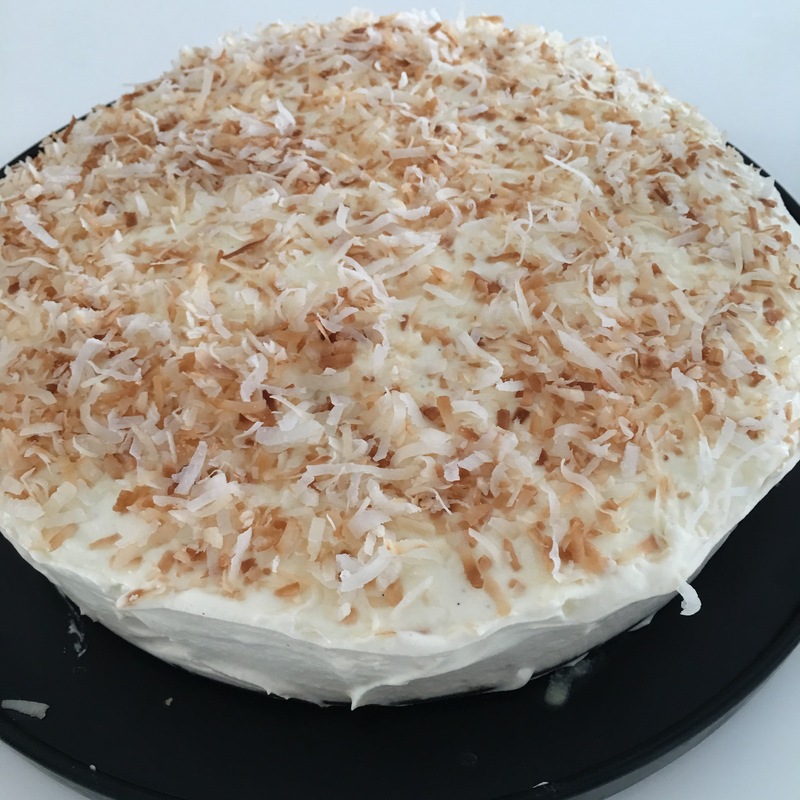 I decided I would make this cake because I didn’t want to sit through the dessert course looking deprived and sad…I intermittently scan through the All Day I Dream About Food blog and one recipe that intrigued me was the coconut cream poke cake. I had never heard of a poke cake before and apparently it is made by poking holes in the cake and soaking it through with either syrup or cream. I tweaked the recipe a bit to put more toasted coconut on top of the cake and to put the whipped cream frosting on the sides as well as the top of the cake. 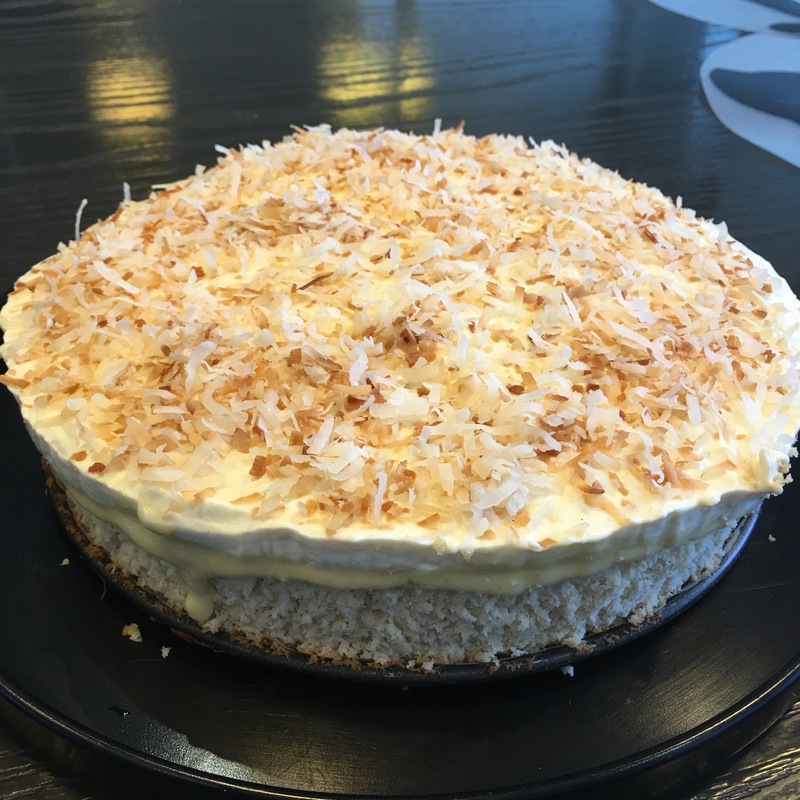 So here is the link to the Coconut Cream Poke Cake, it is an awesome cake! Cake without the sides frosted yet…my OCD nature decided it was not pretty enough so I went on to make more whipped cream frosting and iced the sides as well. Thanks! One of the more presentable cakes I’ve made!